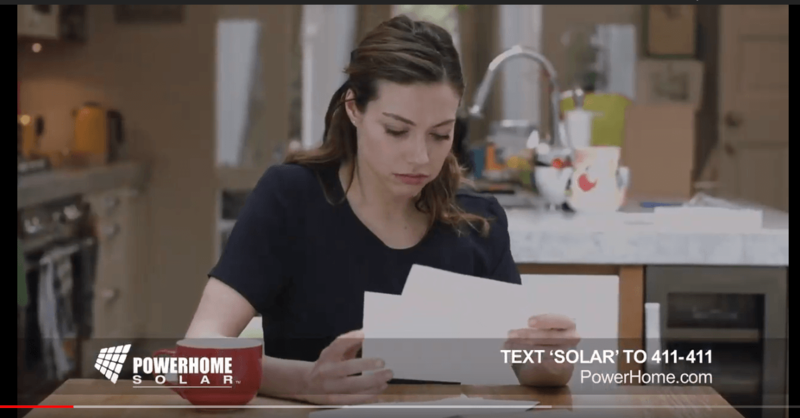 While much of the U.S. tuned in to watch football on Sunday, POWERHOME Solar further introduced itself in its six-state footprint by airing commercials in a number of its markets leading up to the Big Game. Our sponsorship of four NFL teams has given us additional visibility in the marketplace, and fans of the Carolina Panthers, Cleveland Browns, Detroit Lions and Pittsburgh Steelers are among those hearing and acting on our messaging. People now have a choice where they get most of their electricity. Do you get it from the power company, whose electricity plants are powered largely by the burning of fossil fuels that emit carbon dioxide into the sky and contribute to climate change? Or do you choose clean, renewable energy from solar panels? In case you missed our commercials in between snack refills or witty banter about Tom Brady and Bill Belichick, here is both the 60-second and 30-second commercials that we aired. There are so many positives in going solar with help from POWERHOME Solar. We use only American-made panels, and those come with a 30-year warranty, which is five years longer than the industry standard. Our solar systems allow the average customer to save tens of thousands of dollars over the lifespan of their systems. In giving our customers a choice of where they get their power, we give them the chance to save money and help the environment at the same time. It’s why we are so committed to building a movement of clean energy. In the U.S., there are only 1.9 million solar installations in the U.S., which is enough to power over 11 million homes. That number needs to be bigger, and can be so much bigger given the affordability of solar. 2019 is the perfect year to go solar. The 30 percent federal tax credit on newly installed solar projects will expire at the end of the year, only to be replaced by a 26 percent credit in 2020 and a 22 percent credit in 2021. If you want to save the most money that you can on solar, the time to act is now! Solar panels are at a peak efficiency-wise, so if you’re waiting for costs to drop as the technology gets better, you are likely pricing yourself out of utilizing these federal tax credits. And you will realize that the best deal would’ve been had if you acted now. POWERHOME Solar wants to work with you if you want to go solar at home and save money on your electric bills. We have a team that qualifies homeowners over the phone, and if qualified, our team will build a custom design and quote for your home. Please call us at 800-765-2715 or fill out the form below, and we would be happy to help you. Don’t rent your power from the power company. Own your power with help from POWERHOME!